Compounding Pharmacy Bill: Third Draft, Still Some Major Problems — and No Time to Lose! The compounding pharmacy bill (S.959) passed the Senate Health Education Labor and Pensions Committee on Wednesday, May 22 with no substantive changes. The bill will likely be taken up in the Senate soon. Senate bill S. 959 is a large and complex piece of legislation on compounded drugs. As was reported last week, the second draft was much improved over the first, thanks to your messages, but unfortunately the final draft does not fix the remaining problems. ACAM Director of Operations Megan Marburger writes, "I have attended many professional conferences, but what continues to astound me after planning and executing 10+ ACAM conferences is the long-lasting camaraderie that our guests build with one another. The complementary, alternative, and integrative medicine community is such an open group of indviduals that have such a spectacular common goal of wellness through whole body approaches that it is always a pleasure to see practitioners and corproate supporters that I have the pleasure of working with throguhout the year get to meet each other and continue to strengthen their bonds conference after conference." Each week ACAM welcomes new integrative practitioners to the organization. We're happy to introduce our newest members to you! Mirela Cernaianu, MD - Westlake Village, Calif.
Adelia Moustiate, MD - Cliffside Park, N.J.
“Outsourcing” is more than a buzzword. Learn how it can transform your supplement sales, reduce headaches in your office and improve your bottom line. These days patients demand convenience and value, and now you can deliver without doing any of the work! ACAM would like to recognize the following professionals who have decided to renew their membership. Gregory Brown, MD, CCT - Franklin, Wis.
We are a world-renowned integrative Medical Clinic in Newport Beach seeking a dynamic full time or part time Physician to join our team. We are dedicated to improving the quality of life for our patients by providing integrative medical treatment. We offer a professional and dynamic work environment along with benefits including group medical, dental, and vision, 401k, paid vacation, and employee discounts on medical services as well as vitamin supplements. We also offer competitive compensation within the Orange County area. May 29-June 2 ACAM Spring 2013 Education Summit Hollywood, Fla.
June 14-15 AAPMD: The Silent Airway Problem Oakland, Calif.
July 12-14 Colorado Integrative Medicine Conference Estes Park, Colo.
July 13 AANMC Naturopathic Medicine Informational Forum Keystone, Colo.
Dec. 6-8 11th Annual Dr. Roizen's Preventive Care and Integrative Medicine Conference Focus on Inflammation Las Vegas, Nev.
We invite you to become a Certified Energy Healer through Healing in America, starting with the Part 1 Training Program next June 21-23 in Ojai, Calif. At Healing in America, our core belief is that everyone has an innate ability to heal themselves and others. Through training and mentoring, we believe individuals can learn and develop their energy healing gift to bring balance to mind, body and spirit for yourself and others. Returning to wholeness comes from being our true selves - shining from the inside out and letting go of limiting beliefs that hold us back. 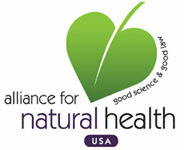 We also believe that an integrative approach to healthcare and wellness is the key to provide good health to all. The American Osteopathic Association has granted a five-year accreditation to the Family Medicine Residency Program at Niagara Falls Memorial Medical Center. The approval was granted following an inspection that included an onsite visit and a review of the program's curriculum, policies and procedures. What Will Be in Your Organic Produce, Fish, and Fortified Grains if Codex Gets Its Way? Pesticides? Yes. GMOs? Maybe. Hormones? Maybe not. ANH-USA's executive and legal director, Gretchen DuBeau, was a member of the US delegation to the Codex Committee of Food Labeling (CCFL), which met in Canada last week. We were honored to bring the voice of the consumer to the table at Codex, especially since it is otherwise heavily influenced by big corporate interests. Some drugs taken to protect the heart may increase the risk of developing type-2 diabetes, according to researchers in Canada. Their study of 1.5 million people, in the British Medical Journal, suggested powerful statins could increase the risk by 22 percent compared with weaker drugs. Atorvastatin was linked to one extra case of diabetes for every 160 patients treated. Experts said the benefits of statins still outweighed any risks. A web-based decision-making tool that alerts heart doctors when diagnostic tests would not be useful for a specific patient can curb wasteful procedures, according to a new study. "This educational tool helps doctors determine the best test for any particular patient," said lead author Dr. James Min, director of cardiac imaging research at the Cedars-Sinai Medical Center in Los Angeles. The news about youth and diabetes keeps getting worse. The latest data from the national TODAY diabetes study shows that children who develop Type 2 diabetes are at high risk to develop heart, kidney and eye problems faster and at a higher rate than people who acquire Type 2 diabetes as adults. The study, led in San Antonio by UT Medicine pediatricians, includes 699 children and young people, with 44 San Antonio participants.